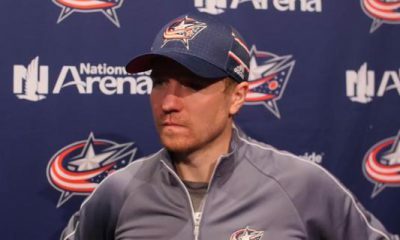 Ask any coach or player on the Blue Jackets’ staff about a win streak, and you’ll probably get a brief generic answer about not paying any attention to that and just taking it one game at time. Obviously that’s the politically correct sports answer anytime there’s a streak of any significance unfolding. However, It’s hard to believe that some of the most competitive men in the world don’t secretly rally around a winning streak of this proportion, and feed off of if. Like losing, winning is contagious, and right now the CBJ have caught the flu. 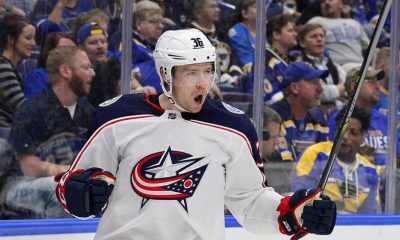 Alexander Wennberg had two goals and Brandon Saad also scored, helping the Columbus Blue Jackets beat the Winnipeg Jets 5-3 on Thursday night. With the win the CBJ extended their franchise-record winning streak to 14 games. 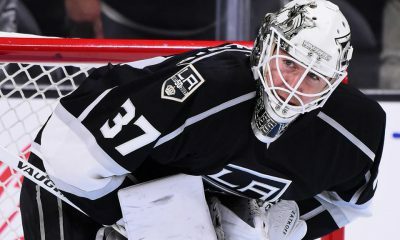 Solidifying their place in the NHL history books. The Jackets are now tied for the 4th longest winning streak in history of the league at 14. The Blue Jackets are quickly closing in on the record of 17 set by Pittsburgh in 1992-93. Nick Foligno and Lukas Sedlak also scored for Columbus, and Foligno and Zach Werenski each had a pair of assists. Sergei Bobrovsky made 31 saves for his 23rd win of the season. The Jets struck first early in the first to go up 1-0. The Jackets would answer back fairly quickly when Brandon Saad got the Jackets on the board to tie up the game at 1. Later in the period Nick Foligno would give the Jackets the lead on a power play. Foligno caught a piece of Zach Werenski’s shot and found the net. Sam Gagner was also in on the assist. Being able to weather the storm from the opposition is something that’s really stood out during these last 14 games and really all season. Regardless of what happens early, the Jackets find a way to bounce back and get results. The CBJ would take a 4-2 lead into third period after two consecutive Alexander Wennberg goals. One assisted by Foligno and the other Werenski and Seth Jones. scored a power play goal to make it 4-2 Blue Jackets. Later in the third, Lukas Sedlak would shut down any hopes of a jets comeback. Jack Johnson ripped a furious slap shot from the blue line that was redirected by Sedlak past Michael Hutchinson to extend the lead. The Blue Jackets would go on to win the game 5-3 after a ‘too little too late’ Jets goal. Thursday’s win moves the jackets back into first place in the NHL with 54 points and a jaw dropping record of 25-5-4. This time last year the Jackets were only getting their 14th win of the season. We’re seeing an awesome start to a season, turn into something special in Columbus. The CBJ are gaining more hype by the minute, and the city is waking up and getting on board. You can thank the Jackets big play on the ice, and that mythical, unspoken and unaccredited winning streak for the huge community response. Regardless of if the CBJ win their next game, the team’s eye catching hockey has done its job. Nationwide Arena has been sold out for three straight games to prove it. Winning can have some powerful effects. The Blue Jackets will move on to one of their toughest tests thus far, a highly anticipated game Saturday night against Minnesota, who is riding a 12 game win streak of their own.